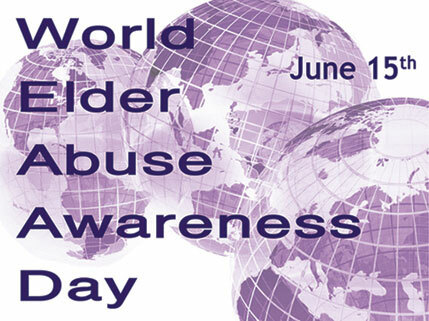 World Elder Abuse Awareness Day is June 15, 2017. The theme of this year’s World Elder Abuse Awareness Day is “Understand and End Financial Abuse of Older People: A Human Rights Issue”. While the topic of elder abuse has started to gain visibility, it remains one of the least reported, investigated, and nationally addressed forms of violence against elders worldwide. Financial abuse among older adults can take many forms. In developed countries, it often includes acts of theft, forgery, misuse of property and power of attorney as well as the denial of funds. In less developed regions, it can include property grabbing, moral and spiritual accusations, banishment from homes and denial of family inheritances. Financial and material exploitation often deprives elders of a life of dignity and can lead them to a life of poverty, hunger, homelessness, poor health and wellness and even premature death. The Global Ageing Network is deeply concerned about any and all abuse and neglect against older adults. The fact that it happens at all is a travesty and we must take all measures to put an end to it. On June 16th, the Global Ageing Network will join other NGO’s at the United Nations in observance of its 12th Annual World Elder Abuse Awareness Day event. The 2017 theme will focus on improving our collective understanding of elder abuse while exploring effective means of strengthening protections against the financial and material exploitation of older adults– including through the empowerment of elders themselves. The event will further inform the thematic discussions of the upcoming 8th Session of the General Asembly’s Open-ended Working Group on Ageing, which will take place in July 2017. Share good practices of legislative initiatives and programmatic interventions on detecting and dealing with financial exploitation. Join us and colleagues around the world in our fight to end elder abuse. Show the world you care about ending elder abuse and neglect by wearing purple on June 15th and tell us what you are doing to combat it in your community. For ideas on how you can raise awareness and engage your community around the topic of elder abuse, download the International Network for the Prevention of Elder Abuse’s (INPEA) World Elder Abuse Awareness Day Community Toolkit.